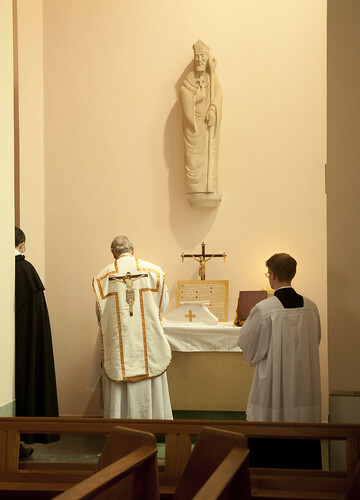 LMS Chairman: Is this Ordinary Form 'the Traditional Mass'? Some servant of the Church she is! Service with snideness. I weep. How does she still have her job? I seem to be one of the few in my church not taking the Eucharist in the hand. I don't care. In light of such attitudes, the rest of Ms. Harrington's more recent statements don't surprise, even if they depress. At every point she reveals herself to be a perfect disciple of Archbp. Bugnini, right down to the naked contempt for nearly all of the history and theology of the Roman Rite, ever ready to use dubious archaeological excuses to justify ecclesiastial embrace of modern attitudes and prejudices. This would be bad enough; but her contempt is dished out to people, not just rites or ideas. I hope that her correspondent was ultimately able to find a less vicious and more helpful source to find the answers for his worship needs. Clearly, Arthur Koestler's observation that everything which is wrong with communism can be deduced from the sheer ugliness of its women applies not just to communism, but to the defence of Novus Ordo communion in the hand. I mean, look at her. No wonder young people are turning to the Traditional Latin Mass. There are plenty of ugly women who attend the so-called ''traditional Latin Mass,'' don't you worry! In fact, quite a lot of people who attend the TLM are clinically insane. I am autistic and have a good store of my own problems but I don't come close! I think it's best (and charitable) not to focus on physical appearance. Few of us are models. What's ugly about Ms. Harrington is her contempt toward her fellow Catholics, and disdain for her own Church's tradition. Her only provocation here was an innocent inquiry for the time and location of a celebration of a licit, authorized form of the Roman Rite. And it was her response that was ugly. This lady seems to have as little understanding of Christian charity as she does of Tradition. 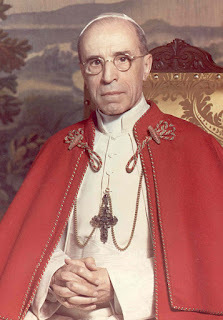 The problem with the Roman Rite is the centuries worth of ill-informed pieties floating about like oil; Corpus Christi, Christ the King, Sacred Hearts, Immaculate Conceptions, etc, so Pius XII can go hang with his accusations of ''Archaeologism.'' It's all pretty much over, actually. Why not just give up? Even the ''traditional'' Holy Week is rather modern, having no visible connexion to the liturgical ethos of our Catholic fathers before Pius V.
As for the Roman Canon, the only thing in its favour is its antiquity. It's a garbled mess, ruined by the interruption of two elevations which weren't even present in the rite in the first Millenium. Yes Tradition does mean, as you have eloquently explained, that which comes down from father to son (I like to call it a silver chain, in deference to both Thomas Aquinas and his Catena Aurea and to Tolkien, who, like me, preferred silver), handed down and on in an endless connexion from past to present and so on, but if what we have received is mingled with abuse, excess and superstition, and consequently the worth inherent to that Tradition is compromised, what do you do then? I cannot attend a celebration of Roman Rite Mass and not think of a once glorious Tradition that was slowly ruined by centuries of tampering at the Papal level (I do not place with underlings like Bugnini; who was Bugnini but a servant or emissary? 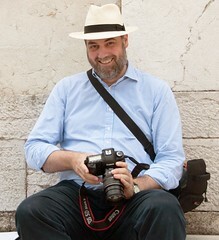 ), neglect and so many popular and ill-informed pieties having so much influence and endorsed, not condemned, by Rome. In other words, the West has failed. These "pieties" also happen to be formally promulgated dogmas of the Church. If they're mistaken, the entire Roman Catholic Church must be given up as a bad job. The position you're advocating here is essentially a Protestant one. We can go back and forth over the dangers of papal ultramontanism in changing the liturgy. But most tangible positive actions you can point to derive from the 20th century, beginning with St. Pius X's reform of the Breviary. Before that, papal power was mainly deployed to preserve (even if to the point of killing organic development) rather than change. If the elevation of the host was unknown in the Roman Rite until the high medieval period (and evidence on this is relatively tenuous), it was not papal power that made the change, but development from below. According to Fortescue, the first juridical institution of it came from Eudes de Sully, Bishop of Paris - not a Pope. The West may have failed, but only in spite of the Church, not because of it. This is a topic I hesitate to take up but since Ms Harrington has raised it, and as it is likely to be further discussed, well here goes. If the mouth is opened reasonably well and the Host is laid top edge down on the tongue, then the problem of hygiene simply does not occur. There are possible problems of hygiene however concerning the chalice. Given what we now know about the universal presence of mouth bacteria, the concept of up to 50 people drinking from one chalice is inherently unhygienic. The use a cloth or purificator after each reception, reduces but does not eliminate bacterial, viral, or other DNA material. In times of communal epidemics, whether bacterial or viral, reception from the chalice should be absolutely forbidden. Intinction, carefully carried out by a trained person, not by casual lay distributers, would be acceptable and, I dare say, exceptions could be made for a Nuptial Mass. One further point. We are all concerned about particles of the Sacred Host being abused because of reception by hand, but there is a risk that the fingers of the person holding and wiping the chalice, particularly when many are receiving, may have some of the consecrated wine on them. I have never seen any distributers take the necessary precautions to deal with this eventuality. So, EP II isn't the prayer of Hippolytus, which was never in fact an anaphora, and wasn't written by Hippolytus anyway. It's the EP of choice for those priests who have preached for too long and want to get the rest of the Mass over with as quickly as possible. EP III is an example of one man's idea of what an anaphora should be (unlike the Roman Canon which fails on all counts). Whenever I hear it I think of Fr Cipriano Vaggagini earnestly banging it out on his typewriter sometime in the 1960s. The word "choice" takes us to the heart of the matter, which isn't the question of the authenticity of the EPs. ii. to iv. but the question of their reason for being there in the first place. Can something so central to the liturgy as the Eucharistic Prayer really be treated as an option chosen at the preference of the individual celebrant? Is there any precedence in the history of Catholic worship for this? Can a liturgy that allows the individual celebrant to pick an choose so much of its text on their own initiative be recognized as the worship of the Church? If you want to call her an old trout to her "face" just go to the Brisbane Liturgy commission homepage.But for her it will confirm all she thinks of we traditionalist/Traditional catholics.